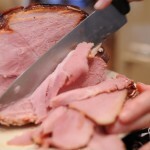 A good ham is one of the most vital things to have in the larder over the Christmas and New Year period. We cook all our own hams in the traditional way and are told they taste pretty good! Last year’s were the best ever. They come out of the freezer as good as fresh. At Christmas we sell fresh geese and turkeys, ducklings and virtually every other type of poultry – guinea fowl, quail, free-range chickens, to name but a few (see here). These are ideal if you are not going to be a crowd for Christmas, or indeed for meals other than Christmas Day. Foie Gras and pâtés make wonderful presents as well as wonderful eating. We have spent years selecting only the very best and we hope you will agree we have found it. Freshly frozen (by us) raw foie gras is also available to order if you have the expertise and the courage to cook it yourself, otherwise we have it mi-cuit (lightly cooked) and ready to eat, which we think is the best way to buy it, if you want to eat it cold. 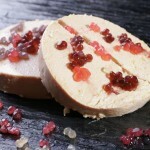 We also have slices of frozen raw foie gras ready to fry which is just so convenient! The Rillettes (duck and goose) comes from Le Mans, the home of Rillettes. As well as being able to buy it in larger quantities loose, we have some smaller tubs this year which are maybe more convenient and will make a nice present or stocking filler. Our range of pâtés in jars comes mostly from the South-West of France, an area renowned for wonderful food. 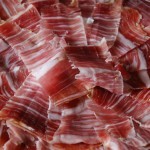 We have a wonderful selection of air-dried hams here: Parma, Iberico, Serrano, Bayonne, Normandy smoked. All delicious in their different ways. We also have a new range of French saucissons – saucisson from the Auvergne and Rosettes de Lyon to name but two – and several others. We have a very good York ham and a dry cured ham from the Maine. Our English sausages are specially made for us in Wiltshire and are recognised as being the best available. They are made in cocktail, chipolata, large, Toulouse and sausage meat for stuffings. This year we have also discovered some rather good smoked French sausages. And talking of French, we have the best black pudding you can imagine as well as Andouillettes, an acquired taste, but if you like it, the one we have is really delicious! Not to be forgotten, are various other things. We originally started in business thirty-five years ago as Game specialists. We still handle most types of game bird ranging from grouse, partridges, pheasants, wild duck, pigeons, venison, rabbits, and very occasionally hares. Grouse are relatively plentiful this year and we still have a few left. Or why not think of a Haunch of Venison for the festive period? 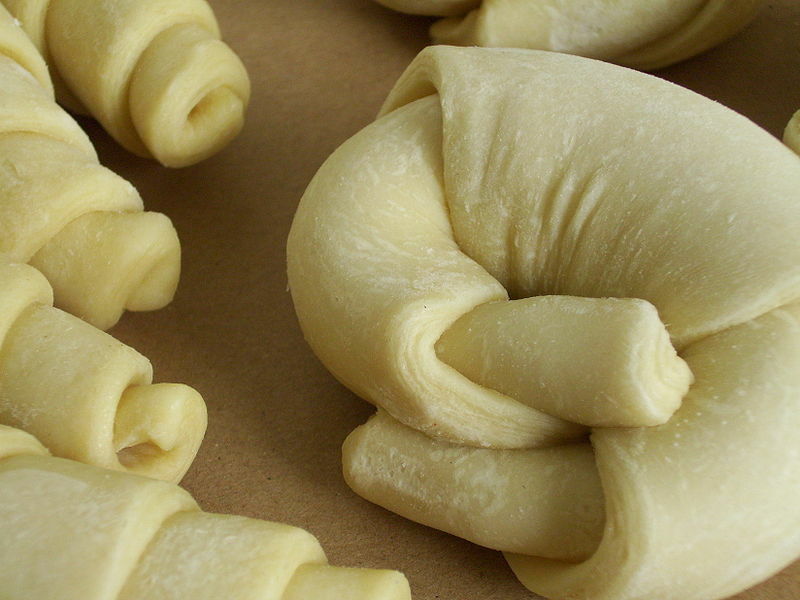 It’s not strong, very tender, almost totally fat-free, so is very good for one. Pheasant breasts are always very popular. Our pies, especially the Pork pie and the Game Pie, always go down well and have the added advantage that you can, if need be, freeze them without any suffering in quality. French sticks, Sun-dried Tomato Focaccia (wonderful dipped in olive oil! ), rustic crusty white loaves and rye loaves, sour-dough bread, crusty brown granary loaves and some brown or white rolls are all really delicious and can be kept in your freezer ready to be cooked at a moment’s notice – very handy when you’re never sure how many there will be for the next meal, and don’t they improve the cheese! 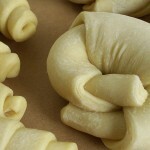 Don’t forget the superb croissants, pains au chocolat and pains aux raisins for breakfast! By the time you have finished eating smoked salmon, foie gras and goose or turkey for your Christmas Dinner, there won’t be room for much more! However, Ethne’s delicious Christmas Puddings are a must, of course. Or there is the famous Cartmel Sticky Toffee Pudding from Cumbria if you want something wonderfully rich and naughty. The Sticky Toffee sauce is a great addition to ice-cream or hot bananas. As mentioned above, Ethne has made a few very special Christmas Puddings to order for several years now. They are packed with fruit and booze (plus a secret ingredient!) and are really moist and wonderful! We would appreciate a really early order. If you’ve had one before, you could even order now. They will be on a first come/first served basis and will be in 1lb and 2lb sizes. Once they’re gone, they’re gone, so order early. Ethne also makes a special home-made Brandy Butter). We now make all our own Chocolate Roulades and all our own tarts, of which lemon is by far the most popular. 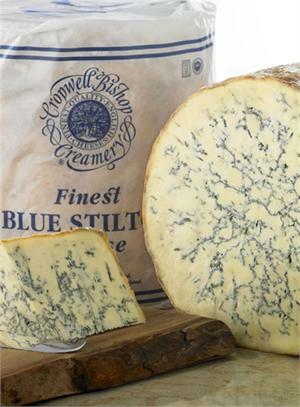 At Christmas-time no household should be without a really good piece of Stilton, and they don’t come much better than Cropwell Bishop, who have been supplying us for many years with their award-winning Blue Stilton. 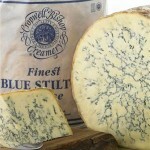 It virtually always wins the prize for the best Stilton at the most prestigious cheese shows. If you buy a whole or a half cheese, we always give you a special price. This is also available in small truckles, but pleases order early. Incidentally, it is an excellent buy for those of you who have to entertain shoot guests to lunch and goes particularly well with a glass of Port or Damson Gin! Apart from Stilton, we sell enormous quantities of cheddar. Small truckles of West Country cheddar are also available, but are in very short supply. If you would like one, it‘s on a first come first served basis, so order early! The Vacherin season is well underway and they really should be savoured between now and the end of February. They are probably at their best this side of Christmas. Our Brie de Meaux is a beautiful cheese and one for lovers of soft cheeses. We sell lots of goats and Sheepsmilk cheeses, the most popular of which is probably Brebirousse d’Argental, which is creamy, delicious and not especially strong. An ideal nibbling cheese is Ossau Iraty, the famous hard Sheepsmilk cheese from the Basque Pyrenees. Sheepsmilk cheeses go exceptionally well with wine or vice versa. If there are any special cheeses you require for Christmas, please let us know in plenty of time. If you need any help putting together an interesting cheeseboard, please ask for our advice, or just ask us to do it for you. Finally, don’t forget the loose teas (best-ever Lapsang), coffees – beans or freshly ground (including an excellent high-roast decaffeinated); the quite superb, top quality teas from Kenya and Ruanda from the Grahams’ family firm. 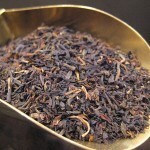 For those of you who haven’t yet tried our teas and coffees, you really ought to try them. We think you’ll be pleasantly surprised. As for chocolates, Bendicks Bittermints in the large box always go down well; Sir Michael Colman’s (of mustard fame) Peppermint Creams, made with mint grown on the estate in Hampshire, are wonderful; The Toffee Shop’s toffees and fudge, are arguably the best in the land, if not the world! We have some of the best “dragées” – sugared almonds, chocolate-coated almonds, chocolate-coated hazelnuts, as well as almond-shaped dark chocolate filled with mouth-watering crunchy pieces of praline, which are our favourites. We hope this whets your appetite a little and gives you some inspiration for the Christmas period.